These stages of the Via Dinarica are not yet ready for hikers – in my opinion. Leaving Prezid was a pleasant hike, through rural Croatia; small villages with beautiful fields and gardens full of flowers and vegetables. Shortly after Goraci the trail needs maintenance; a lot of trees were blown. 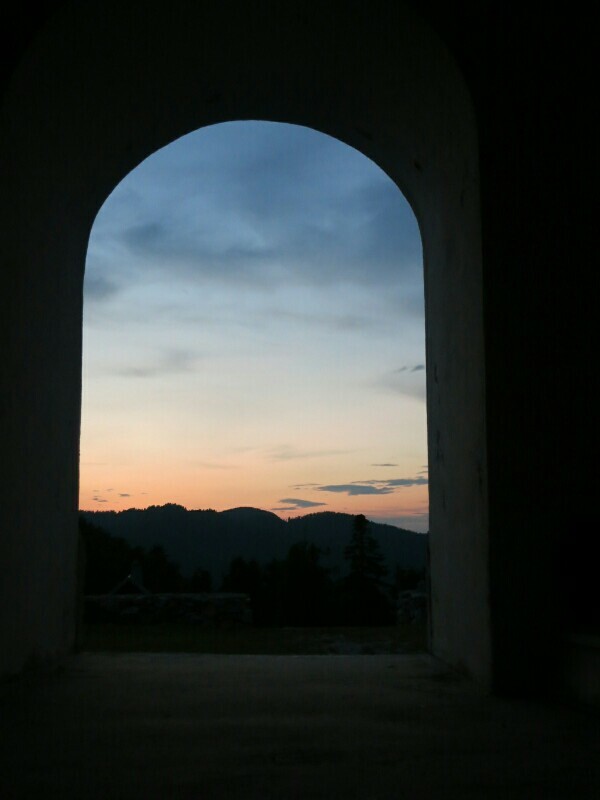 After searching and trying for a while I returned to the road, skipped Ćabar and hiked over the paved road to Tršće. After I bought snacks and a soda at the convenient store, I hiked back to the trail. Soon it leads through forestry area. Paths were missing, new ones were created… This was kind of a messy hike. I spent the night at this amazing church in the middle of the woods. Which made up for the abovo and kind-of-a-messy hike. The next morning a trail was nowhere to be found. I ended up bushwhacking for 2 kilometer, at the end I was up to my chest in plants and weeds. 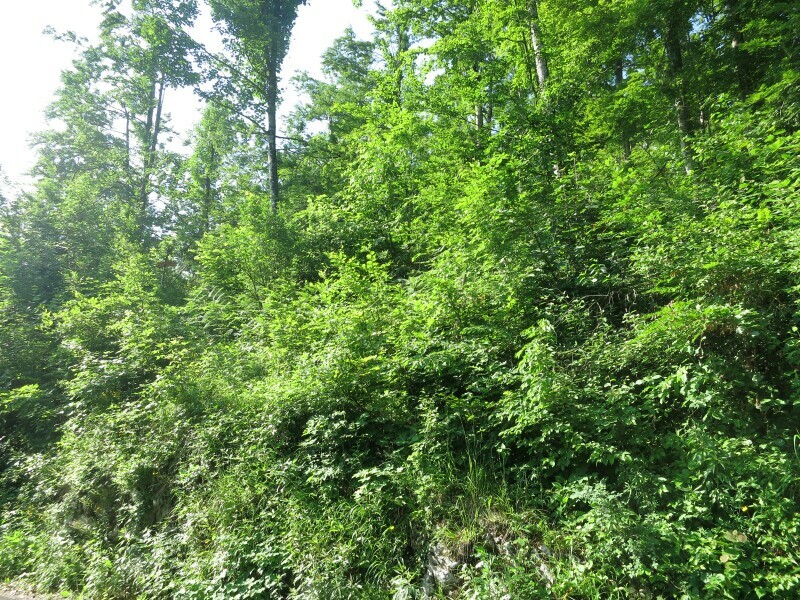 The next part of the trail leading to Izvor Kupe was easy to be missed; again severely overgrown. See photo above, do you spot the marker? 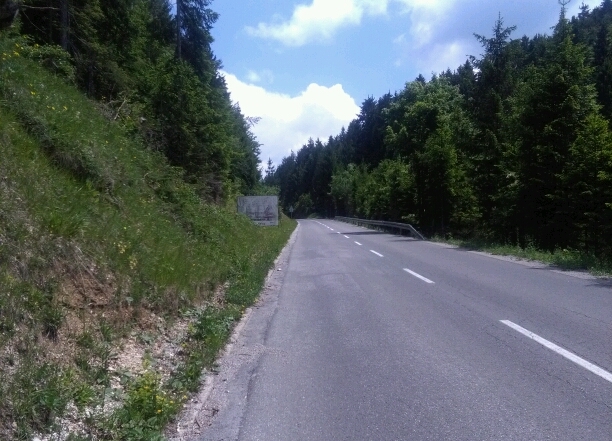 I took a paved road to the entrance of Risnjak NP. Here there was a note hanging, telling that this trail is closed and people are advised to take the paved road. Izvor Kupe, the spring of the river Kupe, reminded me of little Crater Lake along the Pacific Crest Trail, which I hiked in 2016, with it’s clear blue water. 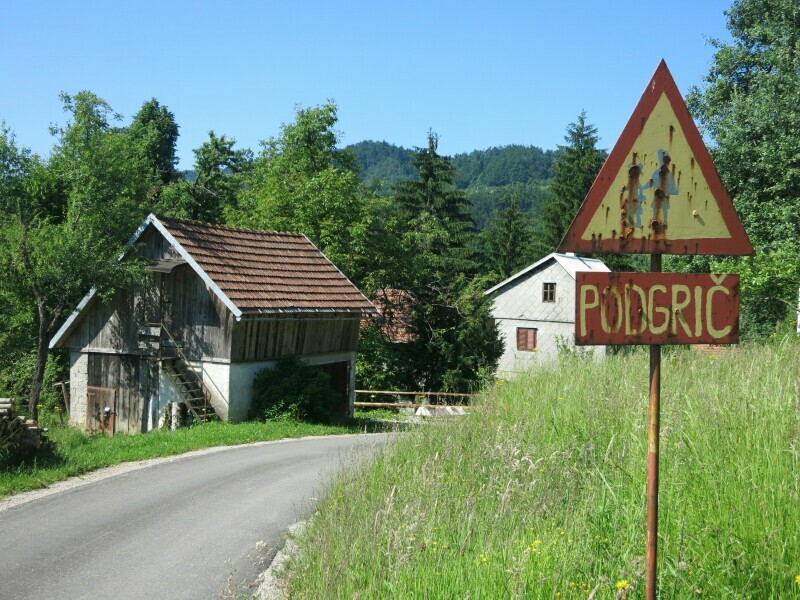 A few kilometers after leaving Izvor Kupe, again paved roads all the way to the other part of Risnjak NP (part of stage 5). After this hike my legs are burning from the sun, the scratching of the bushes and hiking on the paved roads. Ouch! Check this link for GPS-tracks and more info about this stage. More pictures on Instagram. Support my adventures and buy me a coffee or soda pop. This blog has been written on trail. we met and talked yesterday at the mountain hut in Tuk, so hello there and take the advice and try the Premuzic trail just south of Zavizan down to Alan on a sunny day, it is a must do for a hiker in Croatia. Enjoy your stay in Croatia! Thanks Ivan, I’m going to check it out.